This is a wonderful resource for reviewing addition and subtraction of fractions with like and unlike denominators. It also reviews rounding fractions. 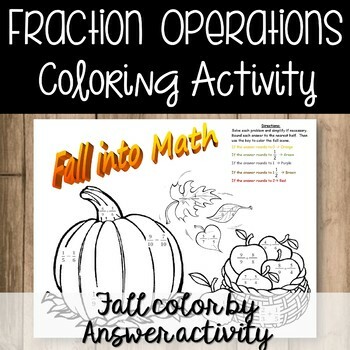 It engages students in a fun way and reinforces their knowledge of fraction operations. They will have so much fun coloring in their fall art! 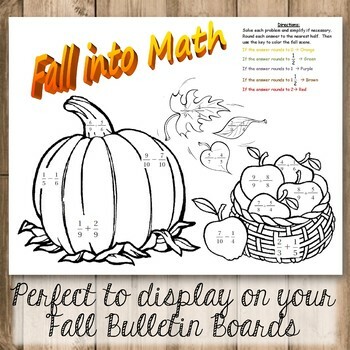 They look amazing up on the bulletin board and gives your classroom a cozy autumn feel.